Rebecca Sedwick will never graduate from high school or attend the prom. She’ll never sit in the stands of a homecoming football game. She did not live to see her 13th birthday. On September 9, she killed herself. On September 9th, Rebecca jumped to her death. The twelve year-old committed suicide, at least in part, due to cyberbullying. 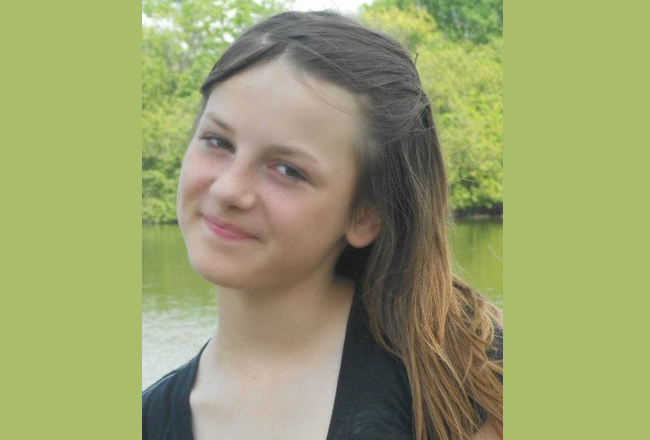 And last night, over a month after her death, two girls — ages 12 and 14 — have been charged with felony aggravated stalking, according to the Polk County Sheriff’s Office. Sheriff Grady Judd held a press conference on Oct. 15 saying that authorities acted fast because the accused girls’ parents were contacted by police but failed to cooperate. The girls continued to log onto their social media accounts. One of them even bragged about the bullying on a Facebook post. “‘Yes, I bullied Rebecca and she killed herself but I don’t give a …’ and you can add the last word yourself,” the sheriff said, quoting a Facebook post the older girl made Saturday. One family lost a daughter. Two others stand to lose theirs. Why would a 14-year-old feel that she had the right to tell another child to “drink bleach and die”? Why would she convince as many as 14 other girls to bully Rebecca? And, why would those girls join in on the torment? For over a year, the girls intimidated Rebecca. They tormented her online and at school. They called her names, the sheriff said, and — at one point — the younger girl, once her best friend, even beat her up at school. Why didn’t those parents step in? And then there is the disbelief. How could a 14 year-old be so calloused as to brag about pushing Rebecca to her death? How could a disagreement over a boy lead to this? Now, what will these families do? How will they cope? And, how will we? Over the last two years, several suicides have been prompted – at least in part – by cyberbullying. And despite school programs, and media attention, and new laws, it’s a trend that just does not seem to slow down. Rebecca could not find safety, not at a new school, not even at home. And she wasn’t mature enough to turn off the phone or disconnect. In a world where our lives are becoming more virtual than actual, where people hurl anonymous insults at one another from behind computer screens, where children text, tweet and Facebook instead of speak, where a mother is too afraid that her daughter would “hate” her if she took away her cell phone, where an adult is not willing to say that maybe their 12-year-old is too young to have a phone or a social media account, not even middle-schoolers are safe. When so many adults did, there’s no way we can expect them to do otherwise. ← Will Tying Teacher Raises To Test Results Improve Education in Florida?